In business, good managers recognize that some employees perform better when put under pressure, while others need consistent encouragement to achieve the same goals. The same is true in the horse world. Not all horses will respond the same way to one method or approach to training. The key is in identifying training methods that best complement a horse's strengths. Recognizing that a horse may need a training program tailored to its specific talents or challenges is a characteristic of good horsemanship. George Peters, owner and trainer at Win$um Ranch in Schuylerville, New York, believes that “horsemanship is a skill you have to work at to acquire.” Even though horses cannot speak, they communicate through a number of behaviors and instincts. “Pay attention to what your horse is telling you,” he emphasized. Grooming gives an owner a chance to earn the horse's trust by playing to one of the horse's natural instincts. Understanding that a horse's natural behaviors and instincts affect how it reacts to a training method, a noise in the barn, or an obstacle on the trail, helps the rider establish a better relationship with the horse. “Horses are gregarious in behavior,” Peters explained. “They are a herd animal and like to be with other horses.” The need to be connected with others in the herd can be compared to the relationship established between a horse and its owner. “We can translate this to the horse’s need to be our friend or his need for “us” as a rider to lead him,” he added. Ponying a young colt when training other horses, or spending time grooming and handling the horse, provides opportunities for the horse to establish a bond with its owner. Spooking is an allelomimetic behavior. “Have you ever been riding along and the horse in front of you spooks? Then your horse spooks too when he doesn’t ever see anything?” Peters asked. That is because horses often mimic one another, especially in situations where a horse feels threatened. Exercising a horse to relieve extra energy or separating a horse from a herd mate that has an undesired habit can alleviate a horse’s allelomimetic and reactive behavior. While it is important to consider how a horse's inborn behaviors and instincts can impact a relationship with its owner, it is also beneficial to understand how a horse's vision can impact its behavior. Humans have binocular vision, meaning that both eyes see objects at the same time. Conversely, horses have monocular vision. They have the ability to see two distinctly different objects at one time and this limits their depth perception. Horses rarely ever see the ground they step on or the food they eat. “Once I understood a horse's vision, things fell into place for me as a horseman,” Peters noted. Peters acknowledges that not all horses will respond well to the same approach. However, he does follow what he calls the “Big 3” with every horse in his training program: Reward/Punishment; Repeat; Remember. When delivered within three seconds, the reward or the punishment does not have to be significant. “Horses have the second or third best memory in the animal kingdom,” Peters noted. The reward or punishment is a reinforcement for a good or bad behavior. Repeating a maneuver correctly will help cement it into the horse's memory. And finally, Peters emphasized, “Horses remember the good, and boy do they remember the bad." A horse that is rewarded for good behavior will try harder the next time he is asked to perform the same maneuver and a horse that is corrected will remember the degree to which it was reprimanded. 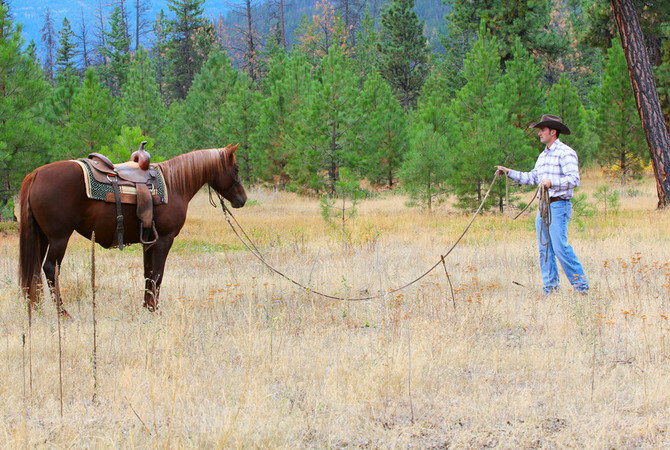 Appreciating a horse's natural behaviors and instincts is fundamental to establishing a good working relationship. However, it is clear that not all horse and rider combinations will successfully bond with one another and be able to work as a team. “It is important to fall in love with horses, not just one horse. There are some times you just cannot partner with a specific horse and you may have to move on to another,” Peters concluded. With 43 five star reviews, The Ultimate Horse Behavior and Training Book: Enlightened and Revolutionary Solutions for the 21st Century will help horse owners understand the horse's behavior as it relates to effective training. With a hands-on approach, this book will help you connect with your horse for better understanding and cooperation. Use these Carrot and Spice Horse Treats to reward good behavior when training your horse. Bite size carrot and spice flavor nugget treats will help catch your horse's attention and encourage attention to training tasks. See more horse treats . Katie has been a freelance writer since 2001 and has more than 250 bylines to her credit. 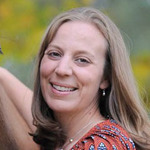 In addition to writing for equine publications, she also writes for landscape, general agriculture and business publications.